Audi’s Adherence by Quatro campaign, featuring an eagle and King Kong, won a silver Press Lion at Cannes in June. 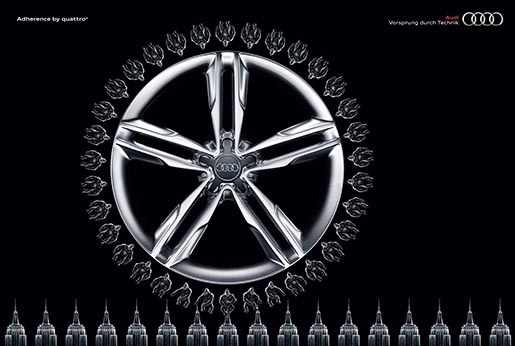 The two print ads show an eagle poised to pounce on a rabbit, and King Kong poised to land on the Empire State Building. 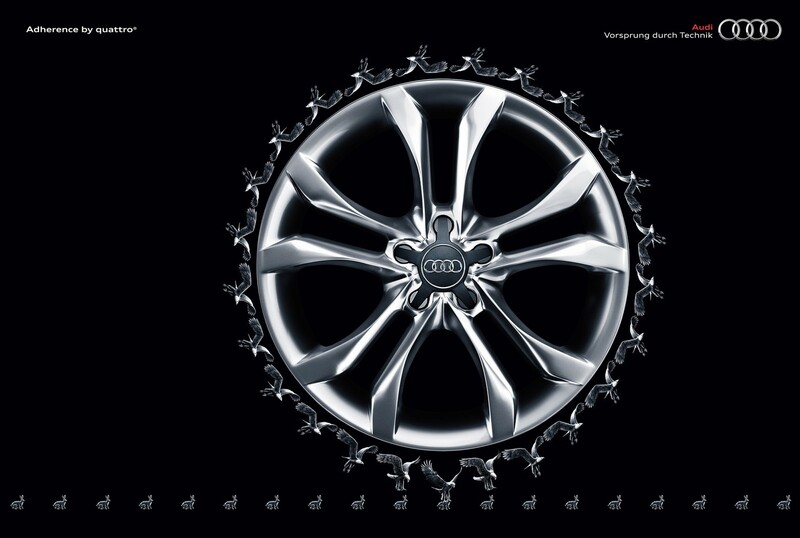 The Adherence Wheels campaign was developed at AlmapBBDO, São Paulo, by chief creative officer Marcello Serpa, executive creative director Luiz Sanches, creative directors Marcos Medeiros and Andre Kassu, art director Diego Lauton, illustrator Marco Furtado, account supervisor Paulo Kakinoff working with Audi marketing team Oscar Ferreira, Carol Derra and Isabella Filippi.